A record 24 teams took part in the 2015 Elifar Challenge event raising over £50,000 for The Elifar Foundation. 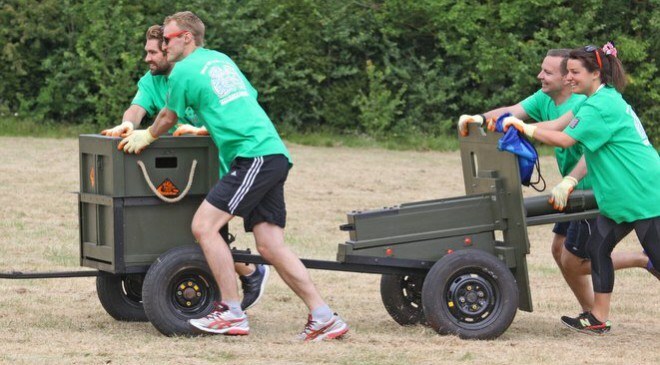 The Challenge has become a key event in the retail property industry’s calendar and last year was no exception, attracting over 200 retail experts to take part in the sports and team building event. The day saw 24 teams of seven people battle it out in a range of fun activities such as a tug of war, ultimate frisbee, beach volleyball and table tennis. All 24 teams fought hard throughout the day in both mental and physical challenges. Retail agents GCW emerged as the overall winners, seizing the Elifar Challenge Trophy. GCW, led by director James Pearson, won the day with 265 points, followed closely by last year’s winners Capital & Regional with 238 and JLL/Shroders with 225.5. 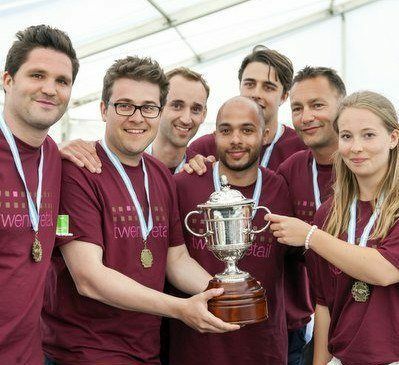 The participating teams also included Savills, CBRE, Intu Properties, Ellandi, M&G, MMX, Lunson Mitchenall, Hammerson, Costa Coffee, Fawcett Mead, Nabarro, KLM, Land Securities, HRH, DTZ, Colman Architects, CWM, Colliers International, CoStar and Sherrards. Take a look at how all the teams fared Elifar Challenge 2015 – Results and the scores for the individual games Elifar Challenge 2015 – Game Results. Many thanks to all the sponsors of the event including Hammerson, Land Securities, Nando’s, Completely Retail, Property Week, TwentyRetail, Siren, Porterfield Public Relations, British Land, Fawcett Mead, Gourmet Burger, Balmain Asset Management, Perkins Fox and Shearer Property Group. To take part in the 2016 Elifar Challenge or to find our more please send a message to one of the organisers, James Mead of Fawcett Mead or Ryan Kennedy at JLL.